As with many of the leading bus and coach manufacturers in Britain, AEC built a wide range of vehicles. Some of the types, such as the Regent III, Regent V and the Routemaster were built in large numbers but others were built in much smaller quantities. Whilst the former have been featured in books specifically dealing with that model, many of the lesser known types remain largely unknown. In the post-war years, AEC, historically the prime manufacturer of buses for London, had expanded through the acquisition of Maudslay, Crossley and Thornycroft before itself being acquired by Leyland in 1962. It continued to produce its own designs of model until the 1970s with the Southall factory ultimately closing in 1979. The range of vehicles manufactured in the postwar years included several versions of the Regal, including the London Transport 'RF'-type, the Reliance (AEC's main coach model produced, in various guises for more than 25 years), the Bridgemaster, Renown, Swift and Merlin. 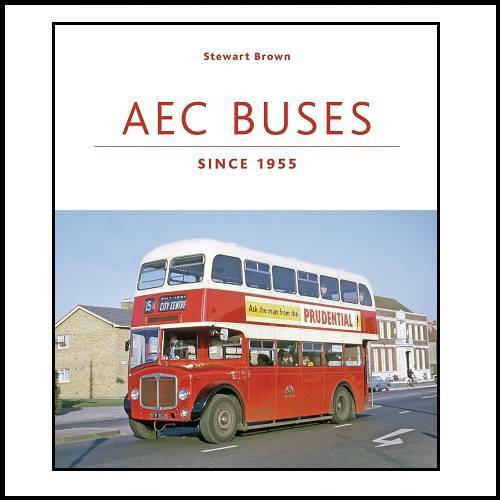 This colourful volume is packed with rare photographs portraying AEC's bus and coach production from the mid-1950s until the disappearance of the marque in 1977, two years before the factory finally closed. A short introduction examines the history of Leyland and its products over those years whilst the many colour illustrations explore the great variety of both double and single-deck models constructed by the company.